Clara Madrigano has read 17 of 50 books. Clara Madrigano read 79 books of her goal of 50! Clara Madrigano read 116 books of her goal of 100! Clara Madrigano read 128 books of her goal of 60! Clara Madrigano read 67 books of her goal of 50! 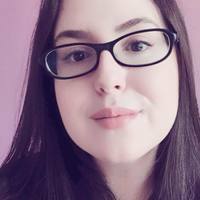 Autora de ficção especulativa, editora e dona da Dame Blanche. We’d love your help. Let us know what’s wrong with this preview of This Is Why We Can't Have Nice Things by Whitney Phillips. We’d love your help. Let us know what’s wrong with this preview of This Is Not My Beautiful Life by Victoria Fedden. We’d love your help. Let us know what’s wrong with this preview of Playing the Whore by Melissa Gira Grant.